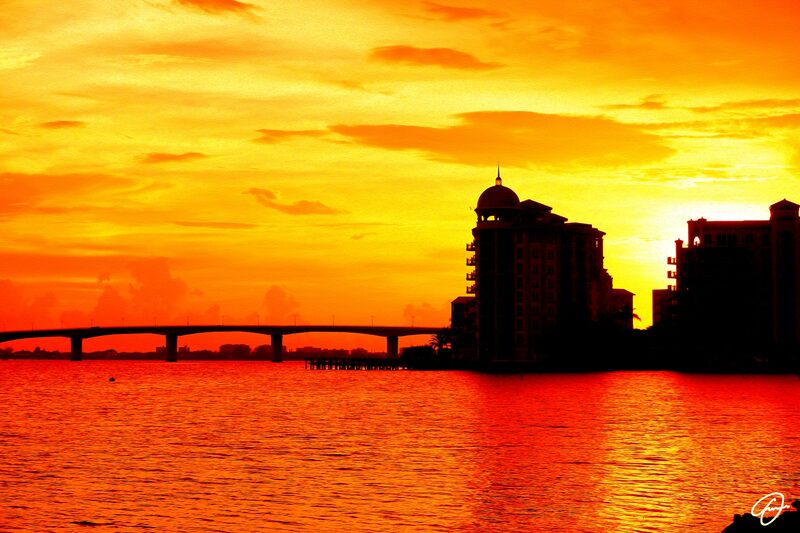 Sunset at Sarasota Bay, Florida (Usa). The party is over. The lights are going out on the bridge that leads from the beach to the city. The moon is about to join the sun. It's time to collect your dreams, put them back in the drawer until the next day. Hoping to present them better.